There’s a lot going on here. What about this work do you find the most interesting? How would you help this student? Thanks to Heather for the submission! 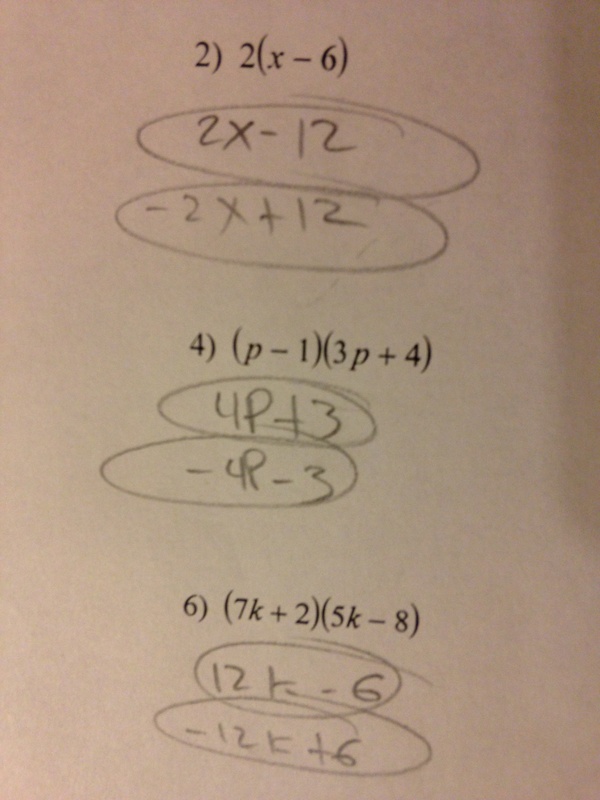 Posted in Arithmetic with Polynomials and Rational Expressions, Multiplying Polynomials.